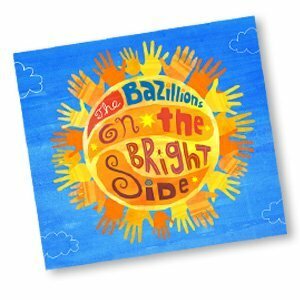 MINNEAPOLIS — With tremendous excitement, the award-winning, Minneapolis-based kindie band The Bazillions looks ahead to the July 17th release of their third album of upbeat, jangly pop tunes infused with brainy lyrics, clear learning goals, and catchy energy, On The Bright Side. I had a good time listening to the Bazillions. They give off a rock kind of feel which was a nice change from some of the others that I hear. Family Tree was one of my favorites and was full of love and excitement. So much fun to be had dancing and singing along. Alien was another exceptionally fun song and made me want to send it to all of my friends who teach, seriously they need to hear this and you do too! The Bazillions also paint pictures via their ongoing collaboration with the animation firm EG Design, whose amazing body of work (11 animated Bazillions videos so far, scoring more than 2.2 million YouTube hits) has brought a whole new level of engagement to The Bazillions experience. The Bazillions began in 2010 when parents/educators/singer-songwriters Adam and Kristin Marshall were teaching at Kenny Elementary School in Minneapolis. From their first days in the classroom, the couple found themselves writing songs for and with their students. Before long, the kids knew every word to every song, and parents had started asking for a CD. So, along with the other members of their indie pop band The Humbugs, the Marshalls recorded and released Rock-n-Roll Recess under a new alter-ego band name, The Bazillions. 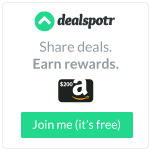 The Bazillions thought they were making a one-time, “just for fun” CD. “I doubt we will even do any shows,” Adam Marshall told his band mates. To his surprise, five years down the road finds The Bazillions an award-winning, 2.2+ million hit viral media machine, with hundreds of live performances under their belts. Previous albums by The Bazillions include Heads or Tales (2012, Parents’ Choice Silver Award) and Rock-n-Roll Recess (2010). Their 2014 DVD The Bazillions’ Rockin’ Video Collection was recently honored with an Academics’ Choice Award. On The Bright Side will be available at iTunes, Amazon, CDBaby, thebazillions.com, and at all The Bazillions’ shows.